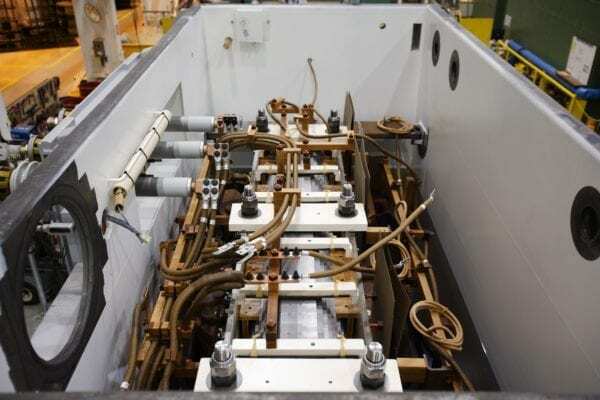 Transformer Insulating Fluids | SPX Transformer Solutions, Inc.
SPX Transformer Solutions typically uses inhibited mineral oil in its transformers which is refined especially for use in transformers in accordance with ANSI/ASTM D3487. 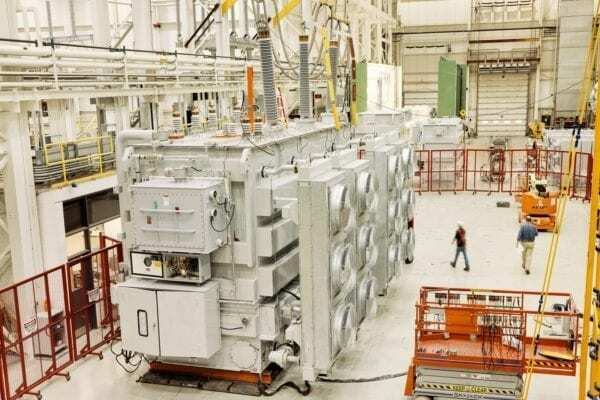 In addition to extensive testing by an independent laboratory to determine approved sources of supply, SPX Transformer Solutions performs acceptance tests on each shipment of oil received. All mineral oil is received in dedicated tank cars and trucks. Samples are taken from the cars before placing the oil in bulk containment units. New oil is then vacuum degassified and stored for use. We reprocess oil again at each point of use throughout the plant. All oil used in Waukesha® transformers is PCB-free per EPA definition 7-179. Although mineral oil is the most common insulating fluid used at both plants, we have built and shipped a number of units with natural ester fluid for special projects and conditions. In addition to referencing IEEE Std C57.104 – IEEE Guide for the Interpretation of Gases Generated in Oil-Immersed Transformers, the Duval Triangle diagnostic tool can be used to evaluate transformer quality by performing dissolved gas analysis (DGA) of the insulating oil in load tap changers. Developed by Michel Duval of IREQ (Hydro-Quebec, Canada), the tool is recognized in IEC guidelines. 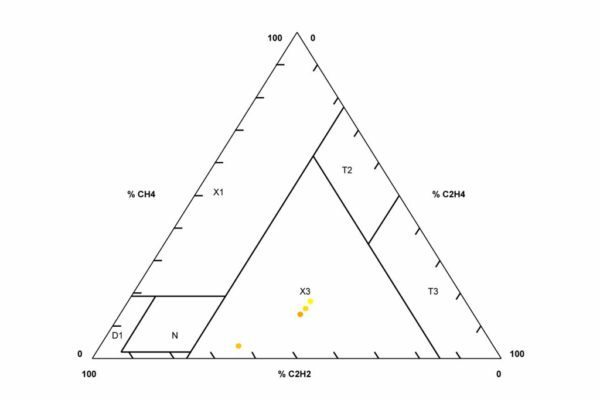 This Triangle applies to conventional, compartment-type LTCs where normal operation involves mostly arc breaking in oil. Feel free to use this tool to help maintain your transformer. If you have questions, please contact us at 1-800-835-2732. Michel Duval is a senior scientist with Hydro Quebec’s Institute of Research (IREQ) in Canada since 1970. His main topics of interest have been dissolved gas analysis, electrical insulating oils and lithium polymer batteries. A senior member of IEEE, he holds 13 patents, has authored over 70 scientific papers, book chapters or international standards and is active in several CIGRE and IEC working groups. M. Duval obtained a B.Sc. in chemical engineering in 1966 and a Ph.D. in polymer chemistry in 1970. The Duval Triangle calculation tools and information available on this website are provided with permission from Dr. Michel Duval. All documents and information shown or created through use of the Duval Triangle calculation tools and information on this website (i) are preliminary in nature and reflect certain underlying assumptions that may or may not be applicable to the user’s project, (ii) are provided for informational purposes only, (iii) do not necessarily reflect any consideration or analysis of other factors that may be relevant to the user’s application, and (iv) are provided “AS IS” with no guaranty as to the suitability or completeness for the user’s particular purpose.The user assumes all risk relating to the use of the Duval Triangle calculation tools and information, and SPX Transformer Solutions, Inc., makes no representation or warranties of any kind, express or implied, in relation to any information created or provided through use of the Duval Triangle calculation tools and information. No part of Duval Triangle calculation tools may be copied, modified, used, stored in a retrieval system, or transmitted in any form or by any means, electronic, mechanical, photocopying, recording, or otherwise, without the written permission of the owner.